We hold that the DRT whilst deciding whether it has territorial jurisdiction to entertain a Securitisation Application filed under section 17 of the SARFAESI Act would be guided by the principles enshrined in section 19(1) of the RDDB Act and not by section 16 of the Code of Civil Procedure, 1908, the Court said. 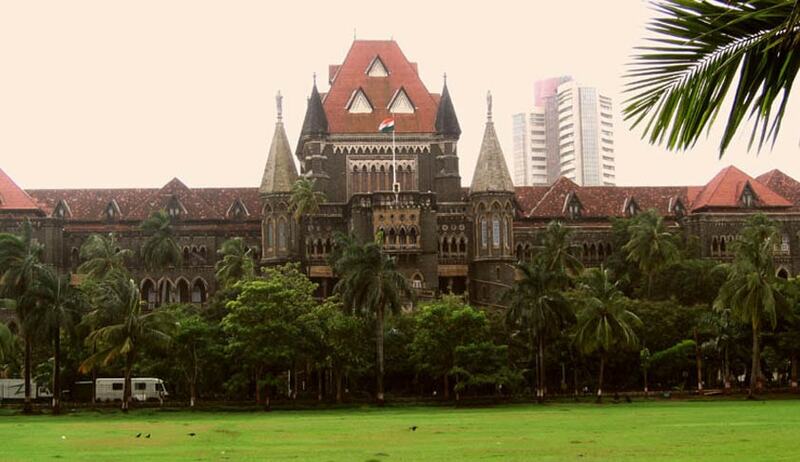 Bombay High Court has held that Debt Recovery Tribunals, whilst deciding whether it has territorial jurisdiction to entertain a Securitisation Application filed under section 17 of the SARFAESI Act would be guided by the principles enshrined in section 19(1) of the RDDB Act and not by section 16 of the Code of Civil Procedure, 1908. Division bench comprising of Justices S.C. Dharmadhikari and B.P. Colabawalla set aside the order of DRT-III Mumbai which had dismissed the Securitization Application for want of jurisdiction, and said that the situs of the mortgaged property is not determinative of the territorial jurisdiction of the DRT. In this case, the DRT – III, Mumbai, placing reliance on Delhi High Court Full bench decision on Amish Jain & Anr vs. Icici Bank Ltd., held that it had no territorial jurisdiction to entertain the Securitisation Application as the secured property was situated in the State of Gujarat and therefore the same could be filed only within the jurisdiction of the DRT where the secured property was situated. The court observed that in many cases, the Securitization Notice issued under Section 13(2) of the SARFAESI Act, takes within its sweep secured immovable properties situated at different places and If that borrower defaults in payments of its dues, under the provisions of section 13(2) of the SARFAESI Act, the borrower can be called upon to pay his dues failing which the Bank would be entitled to take measures as contemplated under Section 13(4) thereof against all the secured assets.In such a scenario, as per the provisions of Section 16 of the CPC, challenge to the aforesaid measures would have to file in two different DRTs and there is every possibility of conflicting decisions being rendered on the measures initiated on the basis of the very same notice issued under section 13(2) of the SARFAESI Act, the court said. The court also added that jurisdiction of the DRT would have to be determined on the basis of section 19(1) of the RDDB Act which stipulates that the DRT shall have jurisdiction to entertain the application filed by the Bank / Financial Institution under section 19 where (a) the Defendant, or where there are more than one, any of the Defendants, at the time of making the Application, actually and voluntarily reside or carry on business or personally work for gain; or (b) the cause of action, wholly or in part, arises. What is important to note here is that these are the only conditions that are required to be satisfied for the concerned DRT to be invested with territorial jurisdiction to entertain an Application filed by the Bank or Financial Institution for recovery of its dues? There is no condition in section 19(1) that in case the Bank is suing for enforcement of mortgage, the Application has to be filed within the jurisdiction of the DRT where the mortgaged property is situated, the bench said. The Court also said that Delhi High Court ‘s view that Section 19(1) of the RDDB Act proceedings are merely proceedings for recovery of debt and not for enforcement of mortgage, runs counter to the very definition of the word “debt” appearing in section 2(g) of the RDDB Act to inter alia mean any liability (inclusive of interest) which is claimed as due from any person by a Bank or a Financial Institution during the course of any business activity undertaken by it under any law for the time being in force, in cash or otherwise, whether secured or unsecured, or assigned, or whether payable under a decree or order of any civil court or any arbitration award or otherwise or under a mortgage and subsisting on, and legally recoverable on, the date of the Application. We are therefore clearly of the view that proceedings under section 19(1) of the RDDB Act are not merely proceedings for recovery of debt. In proceedings under section 19(1) of the RDDB Act, the Bank / Financial Institution can certainly seek reliefs for enforcement of its mortgage, the bench said.